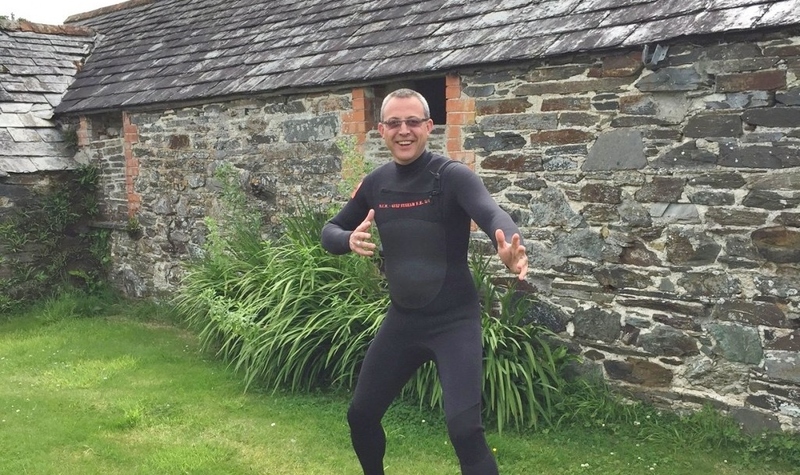 Mark Graham owns Cornwall based North Coast Wetsuits. 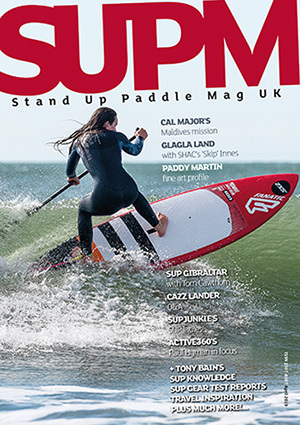 Having reviewed and used the brand’s double lined wetsuits in conjunction with our stand up paddling (See SUP Mag UK accessories reviews) we found out he was planning a new wind orientated wetsuit. Approaching him for the low down Windsurfing UK then had the chance to help out by providing feedback and trying the very first samples of the new suit. With the final product nearing completion we asked Mark to give us the inside info on what it takes to get a new piece of gear off the ground. We are often approached by windsurfers and kitesurfers about using our wetsuits for their pursuits, and yes, we tell them, we do sell quite a lot of our suits to folks from these worlds. The majority want our mini front zip suits because of their superior flex and stretch properties. This is because we use high grade neoprene. They do often seem a little sceptical that our suits will work given the time they spend on the surface of the water rather than immersed. In nearly all cases once they decide to go for it they are MORE than happy with the performance of their purchase and we get great feedback from buyers. That said there are a fair number that turn away because we can’t convince them to give it a try. Many just like a back zip suit with more flex than our mid-price suit offers. These are the folks we are trying to catch with our new design. We find that we are selling less and less back zip suits to cold water surfers. Most avid and experienced surfers now want a front zip. Those wanting back zip types tend to be older and feel they can’t deal with the extra effort of squeezing into a front zip (which we find is easy once you’ve done it a few times). These guys tend to want a high end flexible back zip, not a standard suit like our current mid-priced rear closing steamer. So, we thought, let’s build a suit that’s spot on for wind sports that will also work well for surfing. We decided to use a high end stretchy neoprene, as the wind guys like, and a lot of single lined rubber to reduce evaporative cooling. Our makers were approached with a basic design but with high end stretchy neoprene material. This was to be a double lined suit. We had great initial feedback from our team riders but our current front zip ended up taking centre stage so the idea was mothballed. After a visit to our showroom a kitesurfer declined to purchase our stretchy front zip for the reasons mentioned previously. I recalled the back zip prototype we had knocking around and sent it to a windsurfer I know. I asked him to test the suit for this purpose. His feedback was the suit was great, giving plenty of warmth and stretch, but could benefit from some single lined neoprene on the body panels (no surprises there!). Plus some attention on the ankle and collar seals was needed. Given his valued input we went back to our maker with some ideas and concepts. They negated our fears about the single lined neoprene issues we’d had before as they had a new product they felt offered stretch and durability. The concept became reality and we soon had a bunch of prototypes to re-test. 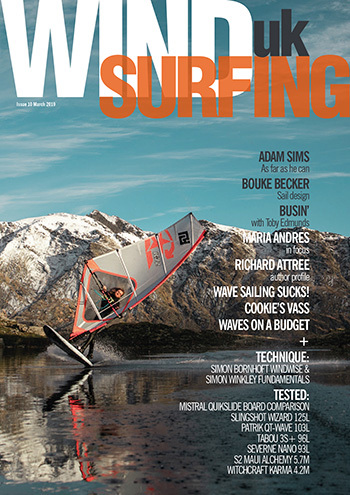 (We’ve since sponsored two seasoned windsurfers who have also tried the new suits. This should show our commitment to this area of watersports). 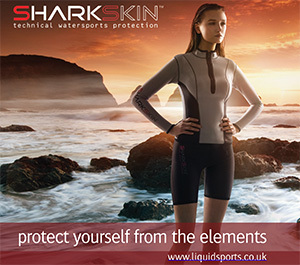 Our new windsurf/kitesurf suits have been well received to say the least. Sizing, however, isn’t quite correct yet. We feel this is because the sample test suits were made using our standard back zip suit size chart. The new design uses a far more flexible and stretchy neoprene – our standard back zip 5/3mm – and proved to be a little on the loose side. We are now at the point of taking things to the next level. We need to make a comparison, on our size cutting chart, between the 5/3mm back zip and our ultra flexi 5/3mm front zip and see if we can trim a little down and make them a snugger fit. This can take some time because there are 16 measurement points on each of the 11 sizes of wetsuits in our range to check! Thank the Gods for spreadsheets and remembering: measure TWICE – CUT ONCE. Once we have these measurements we’ll go back to the factory for another batch of sample suits, then back to riders to check fit. As you might imagine all this takes time BUT if you want to get it right this is so important. Setting up tooling for sampling pretty much doubles the cost of sample suits. A production run of less than 300 suits across a range of sizes is more or less the minimum order to get stock prices at a competitive level. So your sampling with ideas and sizes is very important. Worst case scenario is you might end up with 300 wetsuits that don’t do what you wanted them to do – an expensive mistake to make! On this particular model we are also looking at ankle ties as wind and kite riders tend to suffer from water pressure ingress – water sluicing up inside the seal as you blast along. The collar still needs tweaking too and we may go back to our standard back zip collar design as it’s been proven over 10 years. Sometimes you try something radically different and it just doesn’t work. It brings me back to one of my favourite ad campaigns from the 1980’s. Kawasaki ran a magazine ad for their famous GPZ1000RX bike, nicknamed by many as ‘The Widow-Maker’. The bold heading ‘Design through Evolution, not Revolution’ was how it read. I think that is great statement and for that bike it truly was the peak of evolutionary design on a frame and engine that had been tried and tested for many, many years. I like to think a bit of that ideal rubbed off on what we do here at NCW.